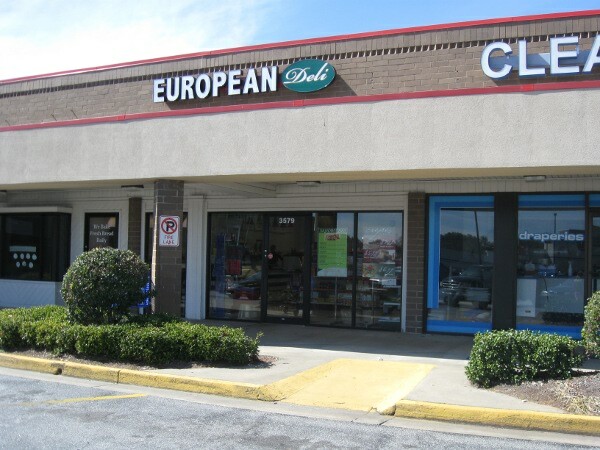 European Deli, Athens GA (CLOSED) – Marie, Let's Eat! Marie has a friend in Athens who apparently doesn’t get out much. I never quite know what to do about people like that. I figure that the whole point of having a place to be in is to get out of it as often as possible, because no matter how wonderful your “in” might be, it just can’t be big enough to accommodate all of the out. On Saturday, I had found a very interesting “out” to visit, which I’ll tell you about some other time, but it was a little unusual, even for us. That’s not to say I don’t hope to change that, and what is a little unusual today might be commonplace before long, but I did fear I was asking Marie to indulge me a little more than usual. So I suggested that she come up with someplace we could have lunch. Well, that and I knew that I had a really expensive book waiting for me at Bizarro Wuxtry, and therefore would be short on cash, and so since she’d be covering lunch, the least I could do is let her pick where we’d go. Well, Marie’s friend in Athens, when she does go out, likes to buy odd groceries from Europe, and has been telling Marie about European Deli, a teeny little place in the strip mall where Target used to be before they moved, and which is now home to the largest Dollar Tree I’ve ever seen. 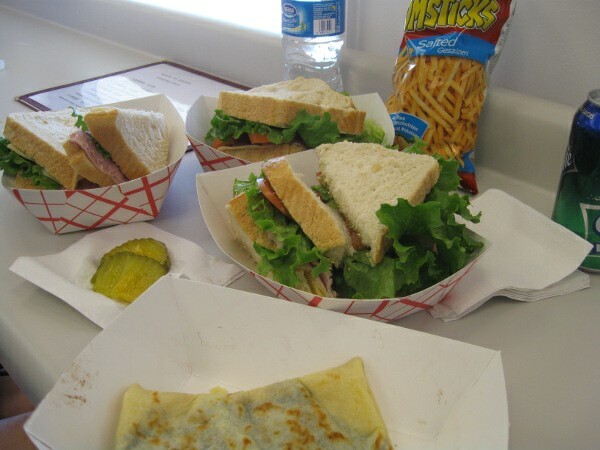 She said they have some amazing sandwiches here, so we tried them out. There used to be a similar grocery-slash-eatery just north of us here on Canton Road, notable as being the only place I have ever seen to sell Vimto. I bought all six cans that they had, and my blasted son and a friend each opened one, sipped the odd, grapey content, decided they didn’t like them and poured them out. Damn kids. Like that place, European Deli is a small room with three chairs and a counter in the window. They sell groceries and snacks from all over the continent, many with cyrillic writing, sort of like a smaller IKEA shop with a broader purview. They make their sandwiches to order, slicing the meat and cheese fresh, and so it takes a little while to assemble your lunch. This gives you time to wander the aisles and marvel at the curious things our European cousins eat, such as curry ketchup and giant $10 boxes of Bertie Bassett’s licorice allsorts. They also make crepes for breakfast, and will fill them with Nutella and fruit. The sandwiches are very good. Marie enjoyed some Russian salami, and my daughter and I each had some Italian bologna with Provolone cheese. It was all very tasty, especially the wonderfully mild Russian cheese that Marie shared from her sandwich. They don’t seem to have a very great variety of meats and cheeses, but what they do have is very tasty, and decently priced. My daughter bought some pirouline wafers for dessert, and I spent the next several hours attempting with only sporadic success to pilfer them from her. I was pleased that when Marie’s friend does go out, she goes out to places like this. Marie says the next time she goes to Athens to game, she’ll take a cooler to bring some of that salami home. Maybe if I’m nice, I can talk her into bringing back some of that cheese as well. Posted on February 28, 2010 July 29, 2017 by Grant G.Posted in athens, georgia, goodbye, sandwichesTagged athens, closed!, georgia, sandwiches.